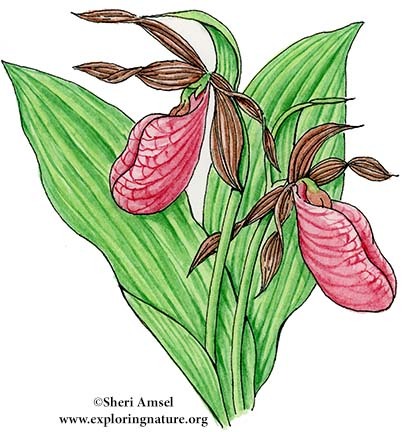 They are found in bogs and wet woods especially in pine forests. It has one flower. It is a pink, hollow pouch with darker pink veins. 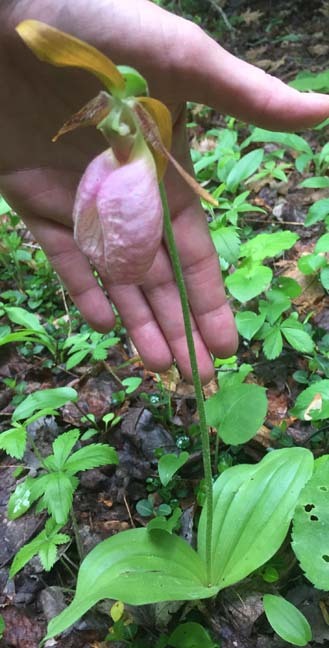 It has a bare stem with long, large, leaves attached at the bottom. They bloom May through July. Also called, moccasin flower.